When we think of Easter, we think of happy kids running around with baskets hunting for eggs. While everyone loves the food and family time that Easter brings, this holiday is all about the kids and their inevitable sugar highs. If painting eggs just doesn’t get them egg-cited anymore we’ve found some new Easter activities and recipes for the kids to enjoy over the long weekend. Baking and decorating cupcakes to look like adorable chicks is a perfect way to spend Good Friday afternoon with the kids. They’ll love decorating their baby chicken cupcakes, and of course, eating them too! No Easter is complete without an Easter egg hunt, and the kids (or adults) are going to need something to carry their treasure in. Making an Easter basket is a classic Easter craft! 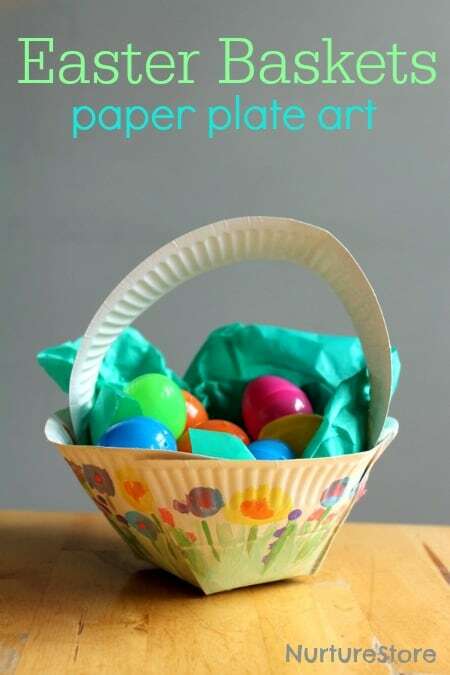 This simple paper plate basket is easy enough for the kids to make themselves, and all you need is a stapler, some paint, and paper plates! If your chocolate bird nests didn’t go past the dipping the spoon in melted chocolate step (no judgement), you could always try these chocolate crackle nests instead. Place the candied Easter eggs inside the nests and you’re done. Now the kids just have to wait for the eggs to hatch! 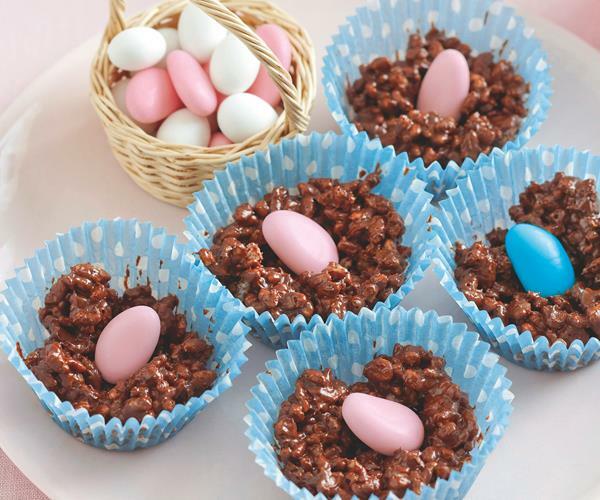 Just in case Easter eggs aren’t fun enough, why not stuff them with marshmallow? Cut some Easter eggs in half, make the marshmallow and pour it in the shells! This is where the kids can unleash their inner artist and decorate the eggs to their heart’s content. So enjoy Easter, accept the fact that a mammal bringing children chocolate eggs makes no sense and just go with the flow. Eat the chocolate. Hide the eggs. Enjoy the Easter activities. Be a big kid and hunt for the eggs as well (you’ll know all the hiding spots). Happy Easter!